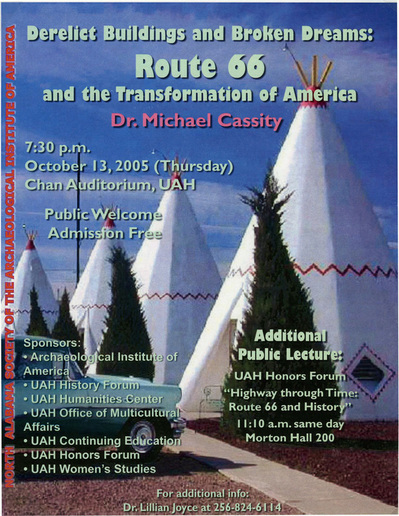 U.S. 66 was not just a road. It was an institution. It was a powerful agent of social and economic change. It offers a window into forces at work in the creation of the modern world we sometimes take as a given. The key to understanding Highway 66, as simple as it is, is often overlooked in favor of nostalgia that stops the clock at favorite, romantic moments. 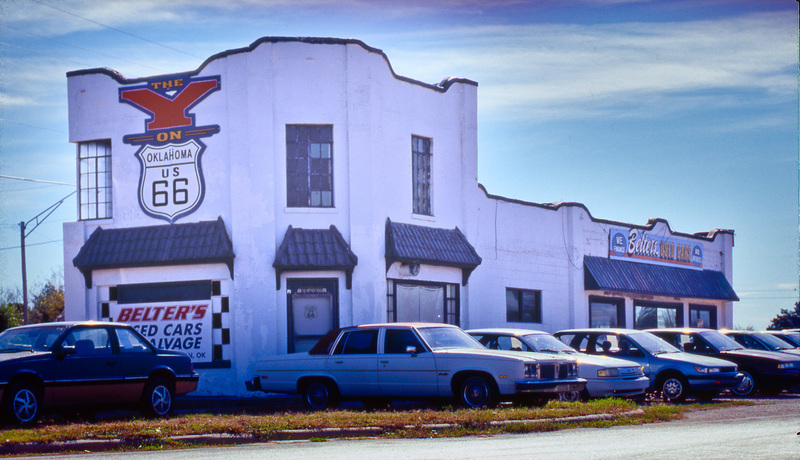 The key to a meaningful understanding of U.S. 66 is to remember that the highway evolved over the approximately five decades of its existence, and as it evolved so too did the businesses, communities, cultures, and environments along its path. In a delicate dance of historical change, the road brought changes, changes that were sometimes welcome and sometimes devastating to everything that touched it. Entire communities prospered and gained new identities as traffic along the road grew, as the roadway itself attracted more businesses and then the same communities often suffered, or even collapsed, when that increased traffic generated changes in the road alignment, bypassing businesses and communities that had grown to depend on it, as chains replaced the mom and pop businesses that had found opportunity along its curbs, and as interstate highways with their limited access pushed high speed transportation sometimes within sight of businesses starved for the commerce the roadway had once provided. 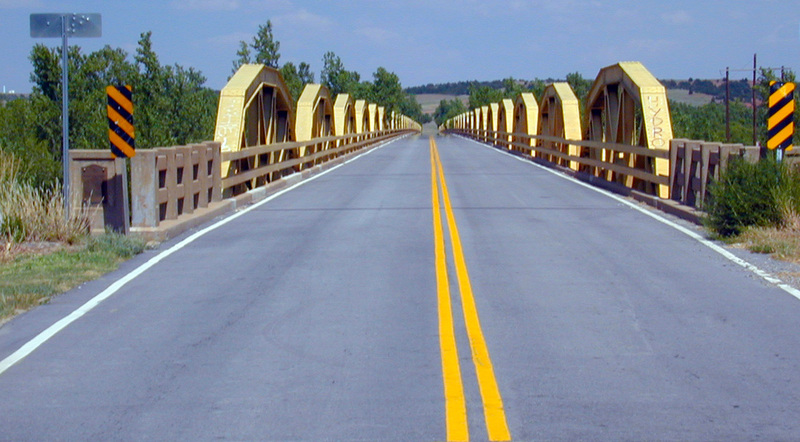 And don't forget to check the National Park Service Route 66 Corridor Preservation Program at http://ncptt.nps.gov/rt66/. 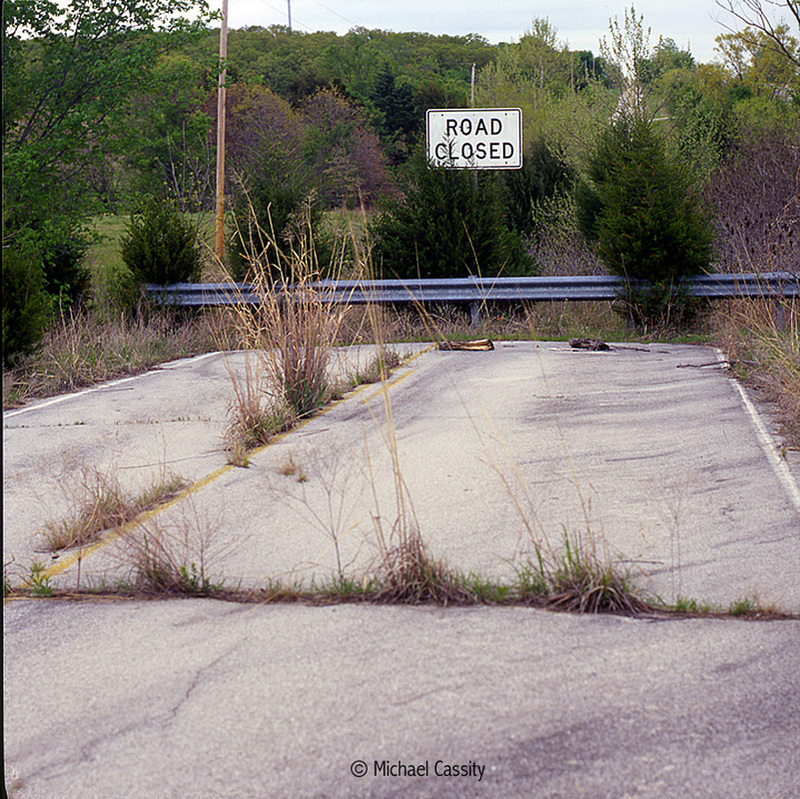 In Oklahoma, as in other states where it passed through, U.S. 66 had a transformative affect, reshaping the landscape, the culture, the economy, and virtually everything it touched along the 400 some miles of its route. 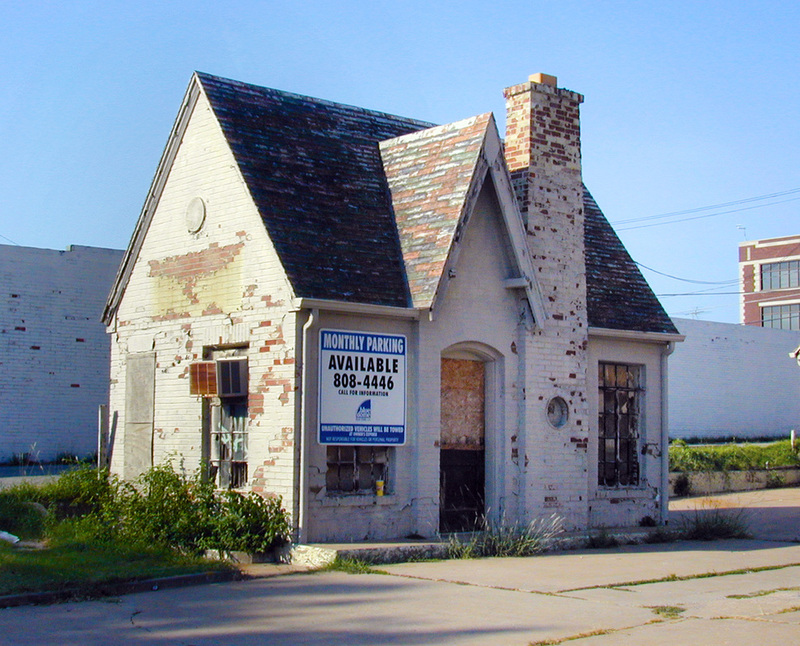 While I discuss these changes in my various longer studies mentioned above, I have also attempted to identify what they look like on the ground with a series of nominations of properties in Oklahoma to the National Register of Historic Places because of their demonstrable association with Highway 66. 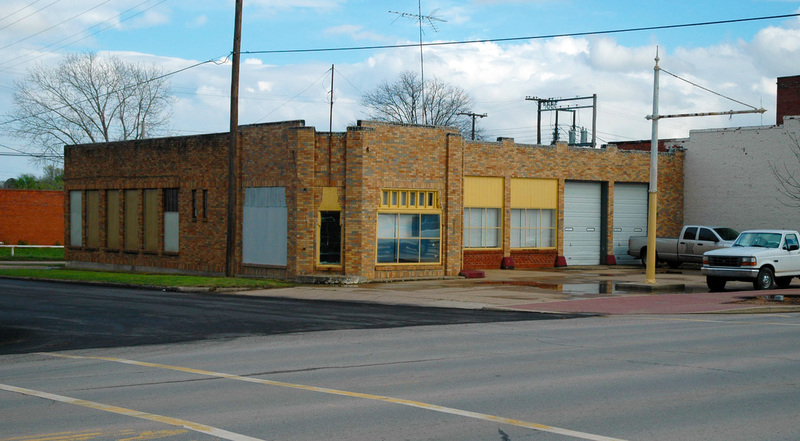 Below is a list of the specific Oklahoma Route 66 properties I nominated and saw listed on the National Register. 1. 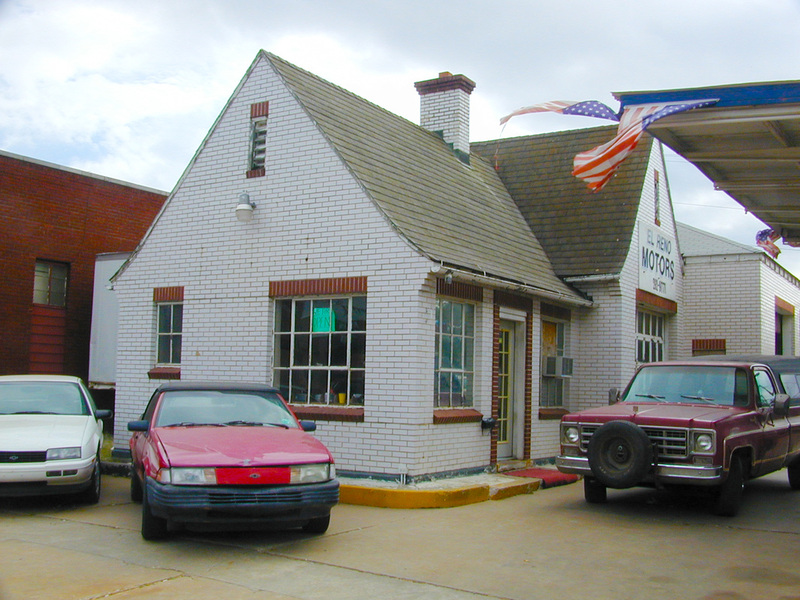 Avant’s Cities Service Station, El Reno (Canadian County), Oklahoma. Listed on the National Register of Historic Places March 2, 2004. Beard Motor Company, Bristow (Creek County), Oklahoma. Listed on the National Register of Historic Places May 27, 2004. Bridgeport Hill Service Station, vicinity Geary (Canadian County), Oklahoma. Listed on the National Register of Historic Places December 5, 2003. Bridgeport Hill-Hydro Route 66, vicinity Hydro and El Reno (Caddo County and Canadian County) Oklahoma. Listed on the National Register of Historic Places March 3, 2004. 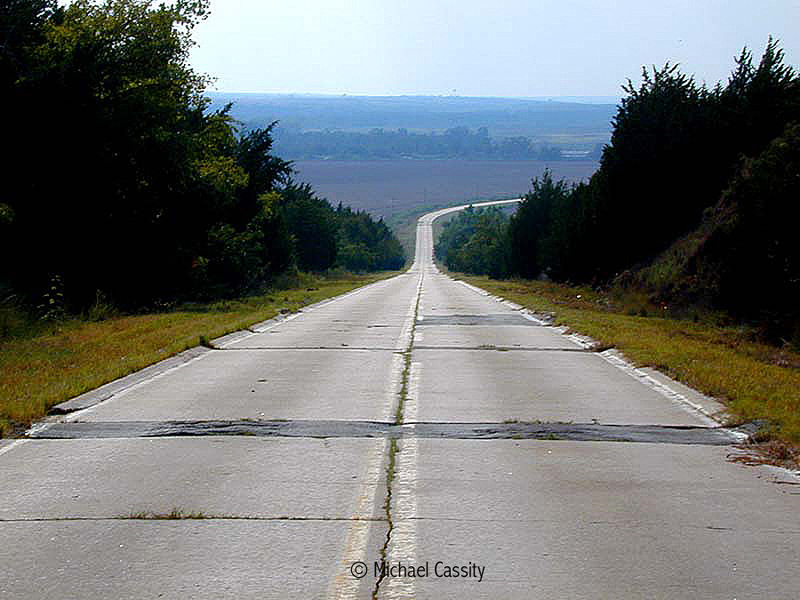 (This stretch of highway is about 17 miles long, the longest National Register property in Oklahoma, at least as of the time it was accepted.) 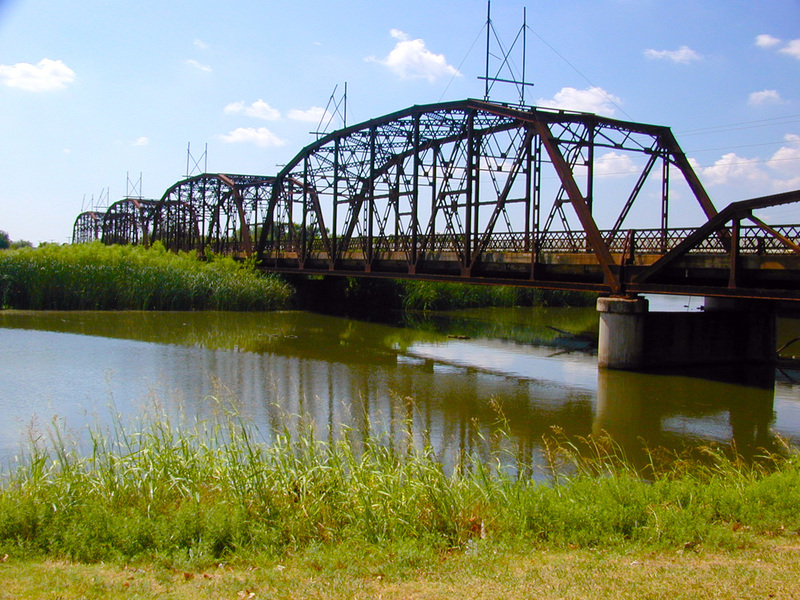 Photo shows Alfalfa Bill Murray Bridge in that segment. Bristow Firestone Service Station, Bristow (Creek County), Oklahoma. Listed on the National Register of Historic Places September, 2007. 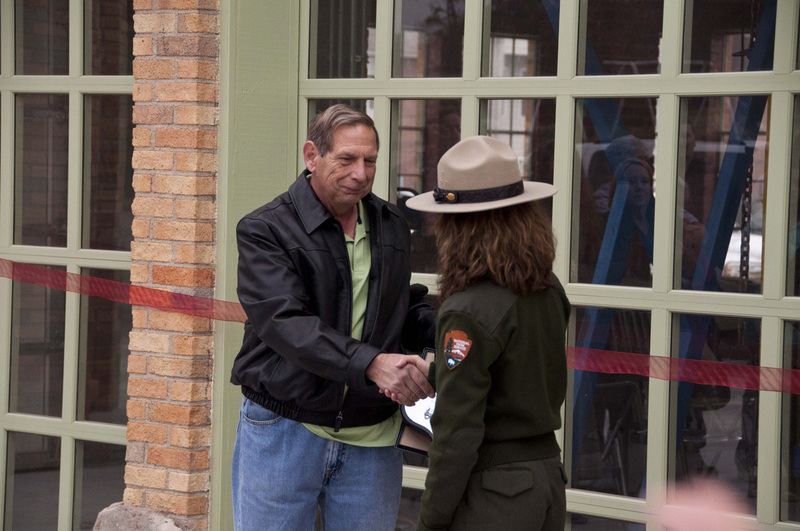 This is the same Firestone Station in Bristow upon its rededication after being significantly rehabilitated by new owner Jack Longacre, here being congratulated by National Park Service Route 66 Corridor Preservation Program Director Ms. Kaisa Barthuli in 2011. 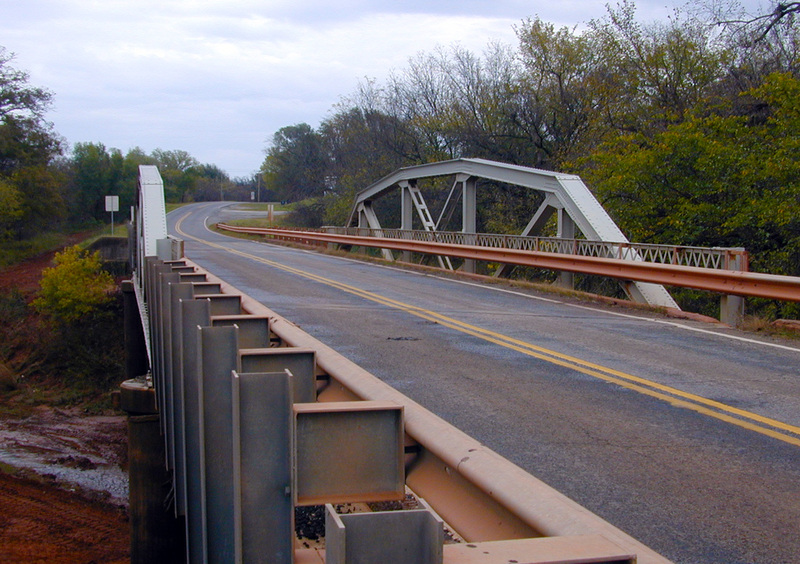 Captain Creek Bridge, Wellston (Lincoln County), Oklahoma. 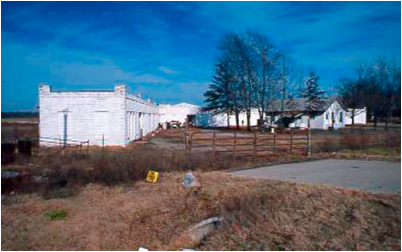 Listed on the National Register of Historic Places March 4, 2004. 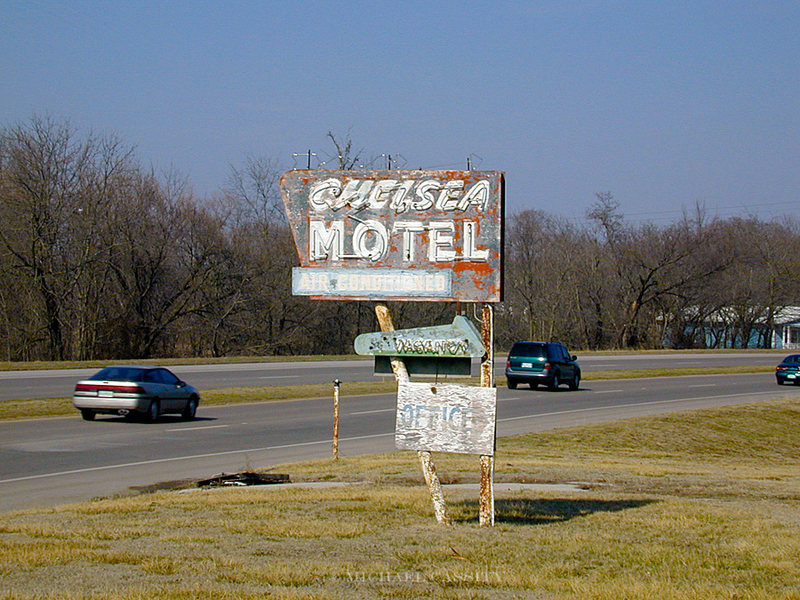 Chelsea Motel, Chelsea (Rogers County), Oklahoma. Listed on the National Register of Historic Places May 27, 2004. Jackson Conoco Service Station, El Reno (Canadian County), Oklahoma. Listed on the National Register of Historic Places March 2, 2004. 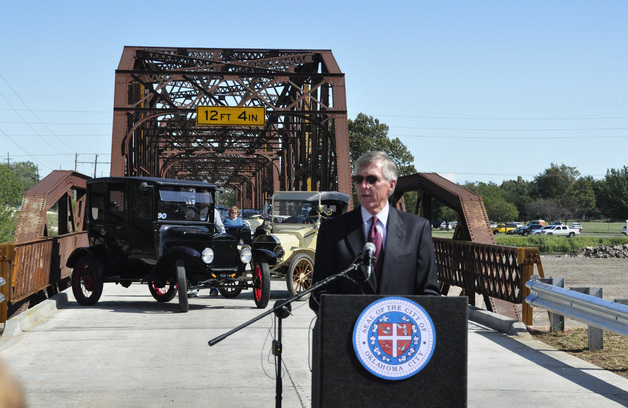 After being listed on the National Register of Historic Places, the Lake Overholser Bridge on Route 66 received careful treatment to strengthen it and restore it to highway traffic while maintaining its historic integrity in 2011. 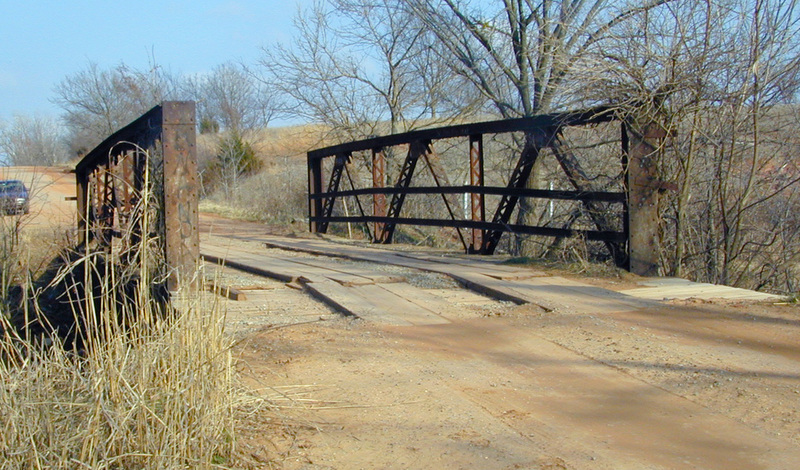 Little Deep Fork Creek Bridge, vicinity Bristow (Creek County), Oklahoma. 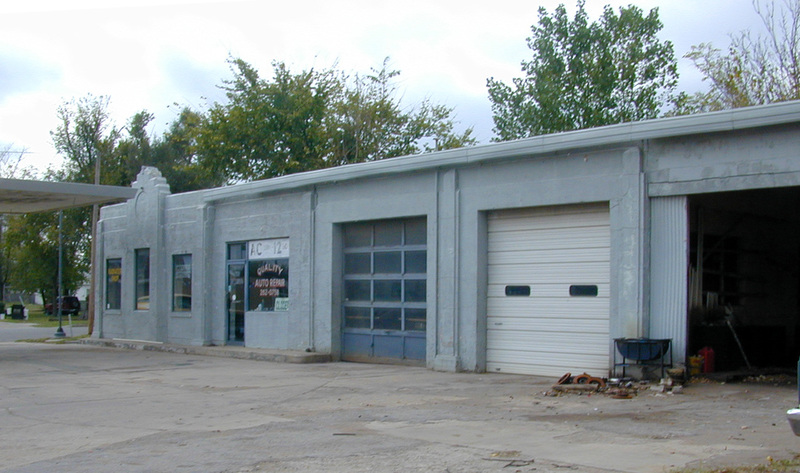 Listed on the National Register of Historic Places December 5, 2003. McDougal Filling Station, vicinity Vinita (Craig County), Oklahoma. 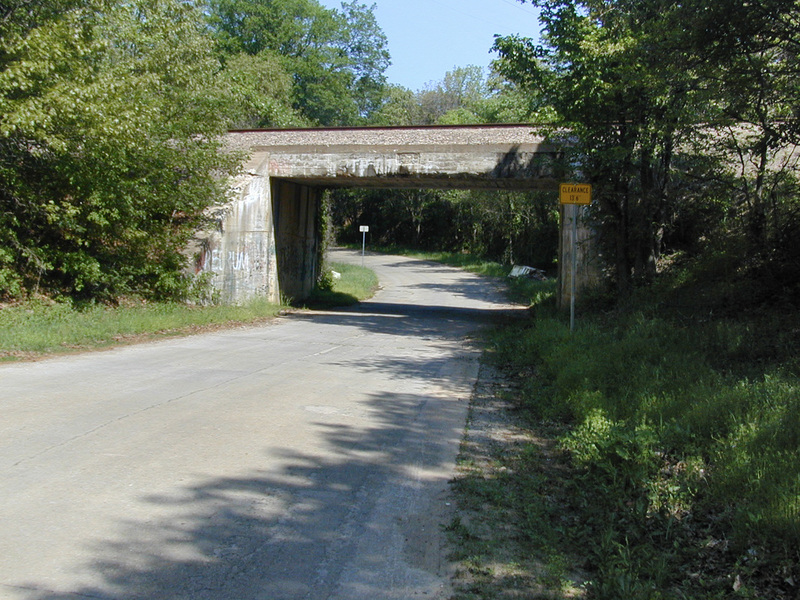 Listed on the National Register of Historic Places May 27, 2004. 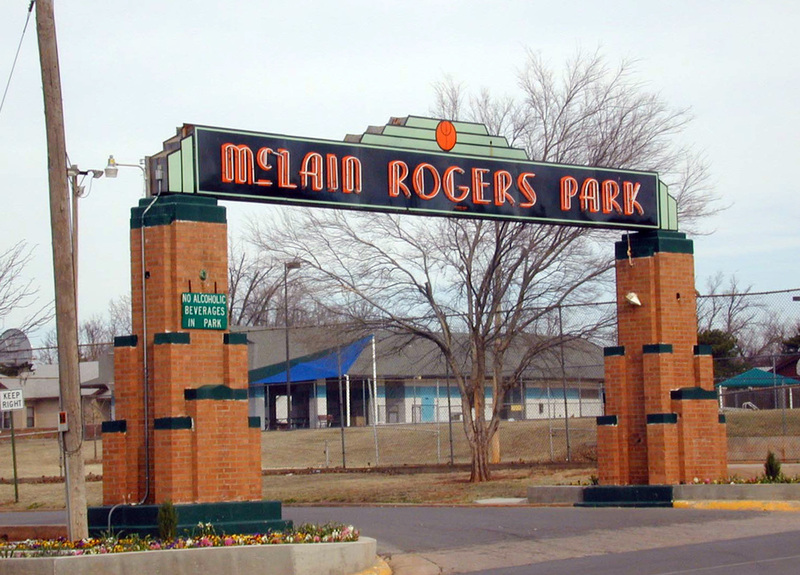 McLain Rogers Park, Clinton (Custer County), Oklahoma. Listed on the National Register of Historic Places September 3, 2004. Narcissa D-X Gas Station, Narcissa (Ottawa County), Oklahoma. Listed on the National Register of Historic Places December 5, 2003. 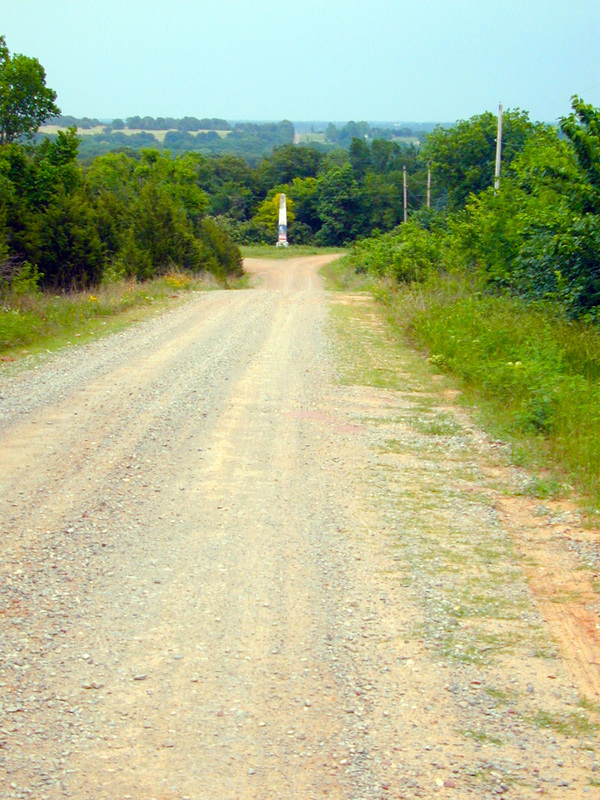 Ozark Trails Section of Route 66, vicinity Davenport and Stroud (Lincoln County), Oklahoma. Listed on the National Register of Historic Places December 5, 2003. Vickery Phillips 66 Station, Tulsa (Tulsa County), Oklahoma. Listed on the National Register of Historic Places March 3, 2004. 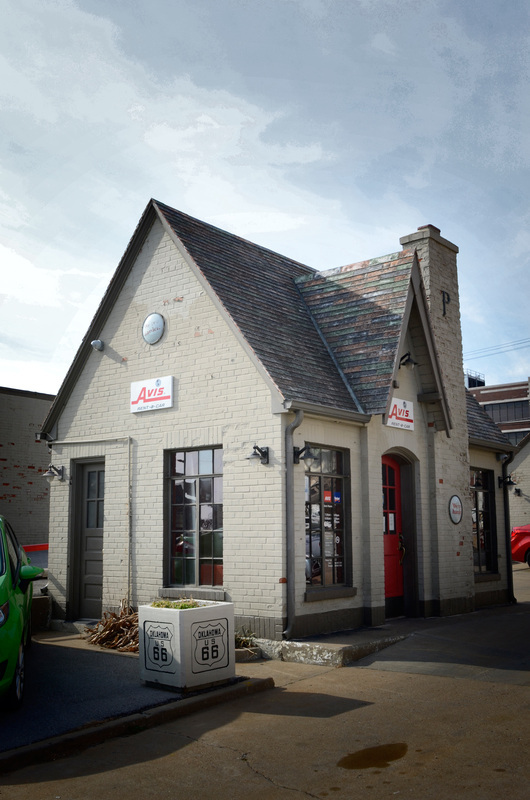 After being listed on the National Register, the Vickery Phillips 66 Station was restored and put into active use with a different, but still automobile related, purpose. Riviera Courts-Holiday Motel, Miami (Ottawa County), Oklahoma. 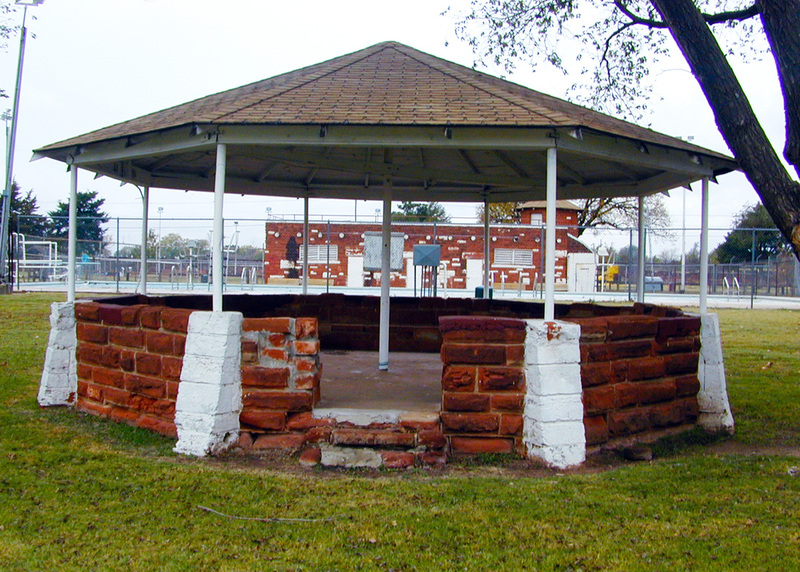 Listed on the National Register of Historic Places May 27, 2004. Sayre Champlin Service Station, Sayre (Beckham County), Oklahoma. Listed on the National Register of Historic Places March 3, 2004. Sayre City Park, Sayre (Beckham County), Oklahoma. Listed on the National Register of Historic Places March 3, 2004. 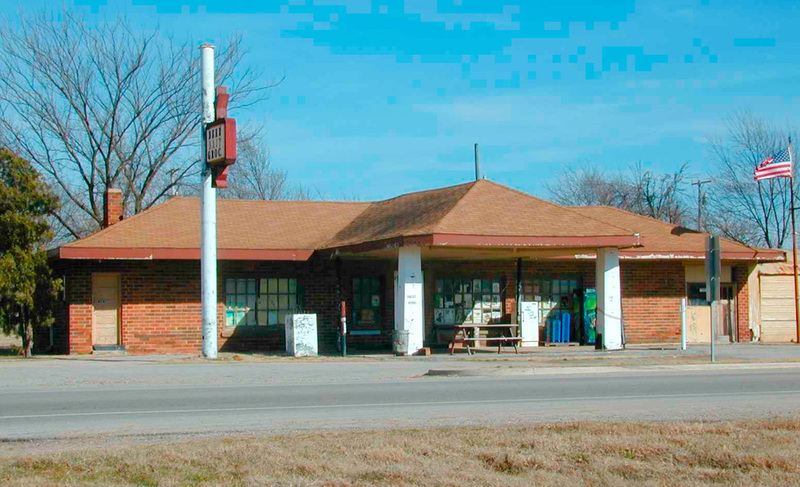 Phillips 66 Station #473, Tulsa (Tulsa County), Oklahoma. Listed on the National Register of Historic Places December 6, 2004. West Sapulpa Route 66 Roadbed, vicinity Sapulpa (Creek County), Oklahoma. Listed on the National Register of Historic Places March 3, 2004. 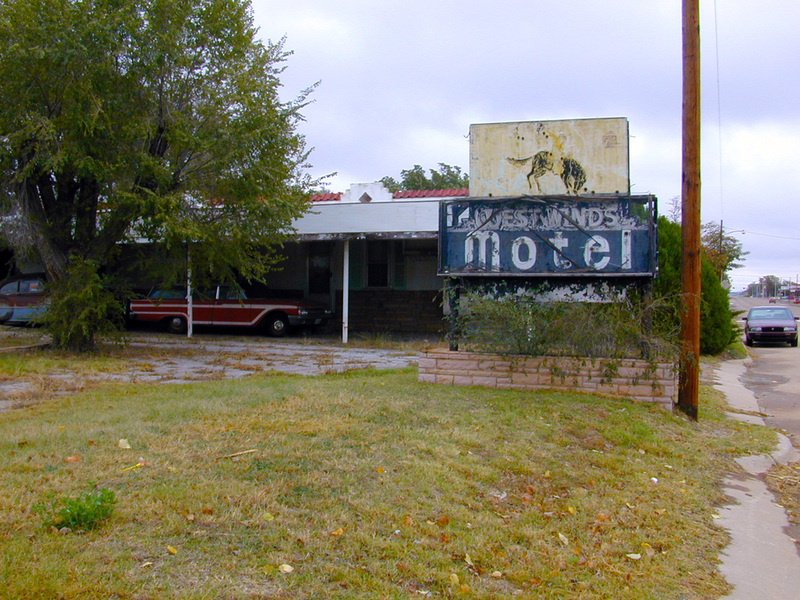 West Winds Motel, Erick (Beckham County), Oklahoma. Listed on the National Register of Historic Places May 27, 2004. 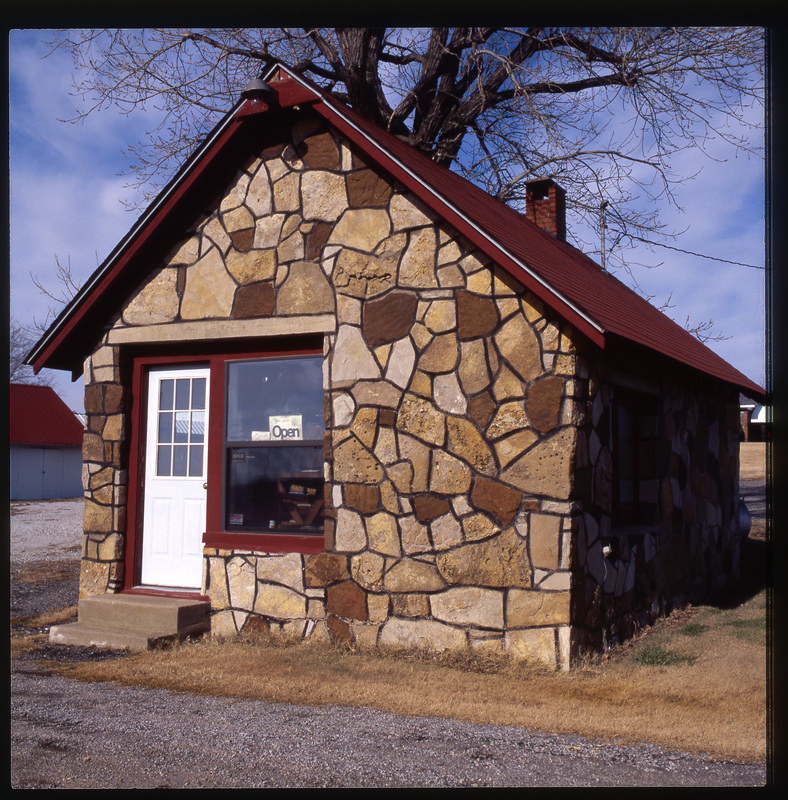 Y Service Station & Café, Clinton (Custer County), Oklahoma. Listed on the National Register of Historic Places May 27, 2004. 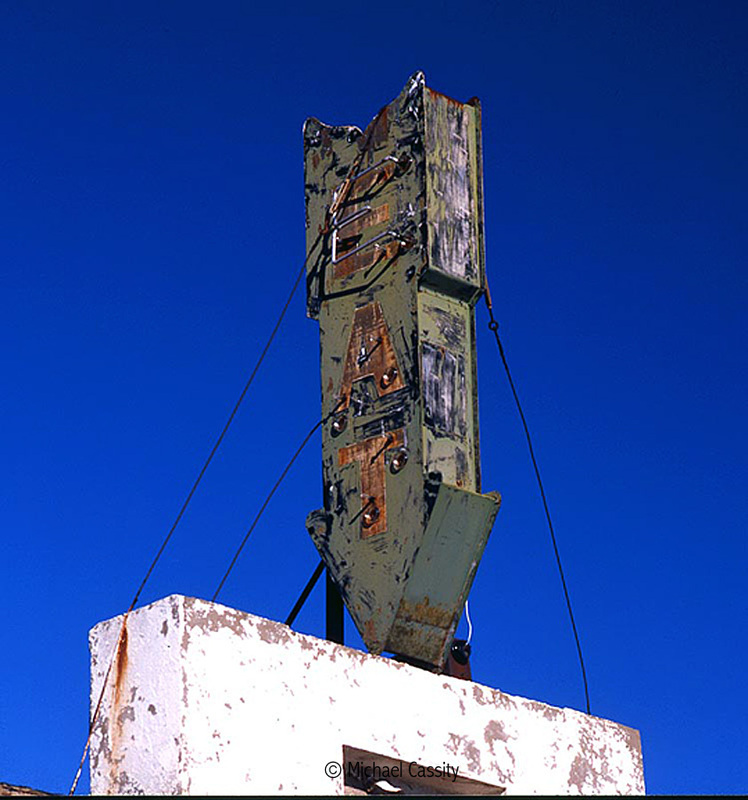 Abandoned cafe, U.S. 66, western Oklahoma. 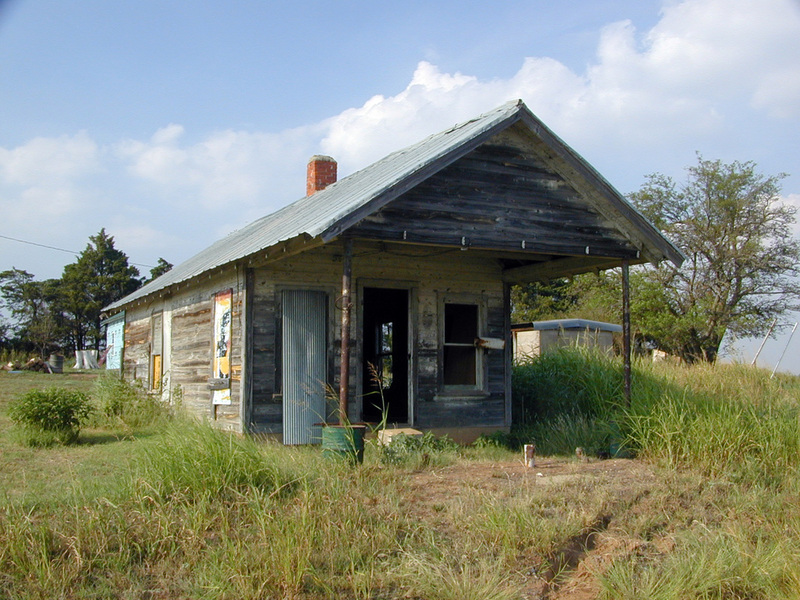 U.S. 66, Bridgeport Hill, west of El Reno, Oklahoma. Want to travel Route 66 in Oklahoma? 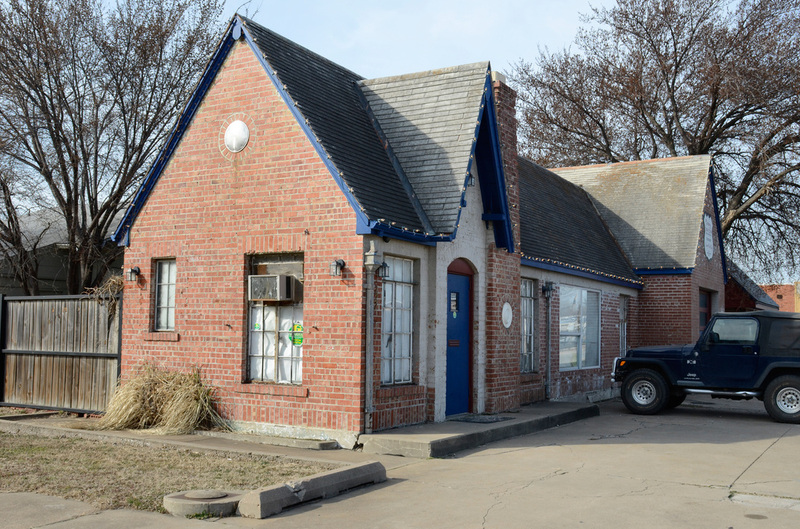 The Oklahoma State Historic Preservation Office has announced a tour map and guide to sites in Oklahoma on U.S. Route 66. Be sure to follow the road and check these notable sites on and along the highway. But you'd better be fast. They are disappearing at an alarming rate. The following is the SHPO announcement and a list of sites. 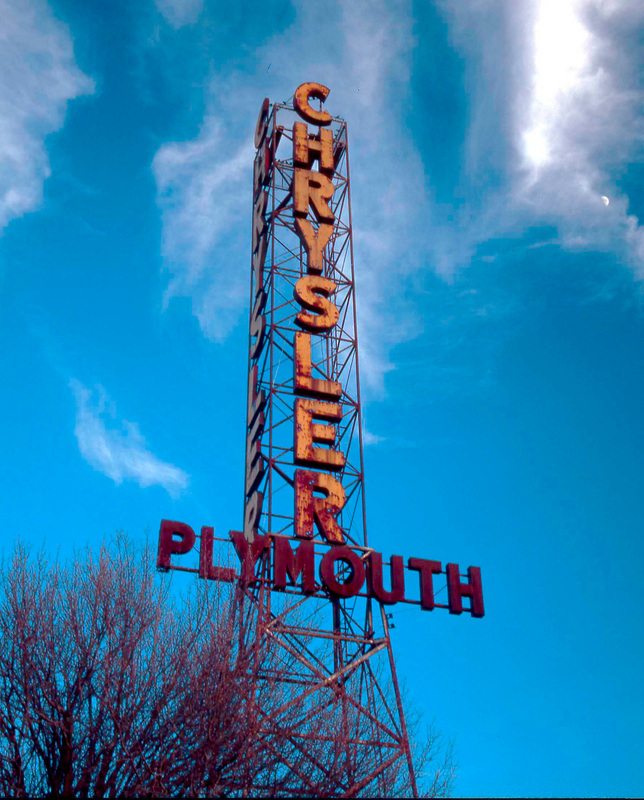 I added about twenty-five of these sites to the National Register of Historic Places and encourage everyone to investigate them for their history, placing them into the context of the historic transformation of society, economy, and landscape by this highway. And talk to the good people in the SHPO about Highway 66, about historic preservation, and about what you can do in your own neighborhood. To access the tour as you drive the historic highway or as you relax at home, just call 405/415-0626, listen to the brief introduction and instructions, and enter the stop numbers (1-72) using your telephone keypad. You then hear or read the text captioned name, location, and brief narrative for each stop. To move to another stop, enter the number when prompted at the end of a stop narrative. The list of stops is provided below and in a brochure available at museums and other locations along the tour route or from the SHPO. Also, the list and map of the stops are found at www.okhistory.org/route66mobiletour. If you are using a smart phone, you can link to more about each stop in particular and about Historic Route 66 in general. The tour is made available through the services of OnCell Systems, Inc.
For more information about the SHPO and its programs, visit http://www.okhistory.org/shpo or call 405/521-6249.